Grab a bargain by visiting the Dordogne when everyone else isn't! Our truffle and wine weekends focus one day on truffle hunting with renowned truffle hunting experts and their dogs as you go in search of the famous Perigord Black Truffle. 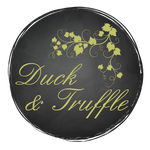 You'll learn about the different types of truffles, techniques of truffle hunting and enjoy a fabulous truffle tasting. The second day is spent in the Bergerac vineyards visiting 3 small family run vineyards offering excellent wines and excellent value. Our wine weekends are perfect for those that want to know that little bit more about Bergerac wines as we spend one day visiting the area's northern vineyards and the other day in the south. Sometimes overshadowed by their world famous neighbours in Bordeaux, Bergerac vineyards offer great value wines of a similar quality. We're offering 25% discount on our out of season weekends so prices now start from €595 per person. See our accommodation options below.